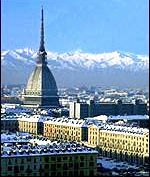 In 1800, the beautiful city of Turin came under threat from an advancing Austrian army eager to reconquer the region. The push was called off when Napoleon Bonaparte crossed the Alps with his French army arriving to the north and north-east of Turin. The two forces clashed at Marengo in one of the most crucial battles of the era. 78 km (49 miles) north of Mondovi. 1 hour drive. 86 km (54 miles) west of Marengo. 1 hour 3 minutes drive. 99 km (64 miles) north of Montenotte. 1 hour 20 minutes drive. 139 km (87 miles) west of Milan. 1 hours 36 minutes drive. 646 km (404 miles) north of Rome. 8 hour 7 minute drive.